The Targi Kielce’s agricultural expo - the 25th AGROTECH 2019 breaks three records! This is another record in the series - there were 70,000 visitors last year. The most numerous fellowship of companies ever - 750 companies from 25 countries presented their products and services at the jubilee exhibition. 66 thousand square metres exhibition space - three thousand larger compared to last year’s edition. This has been the largest expo area ever. 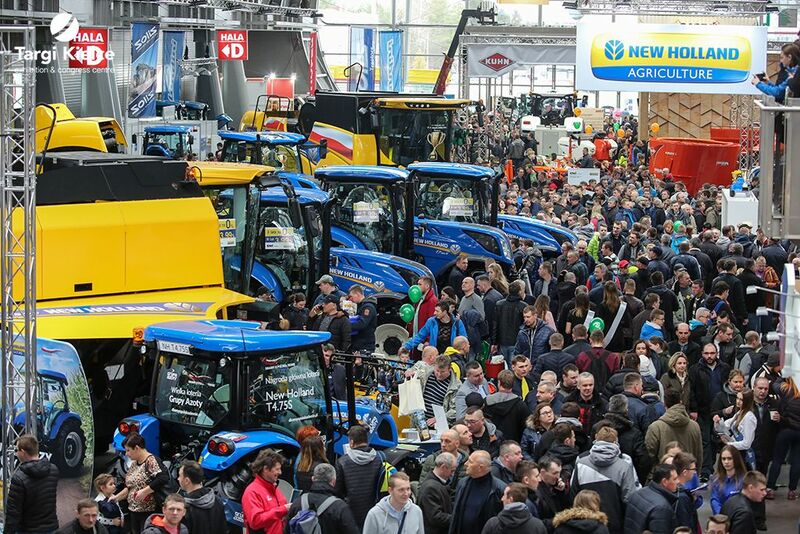 For the three expo days, from 15 to 17 March, Targi Kielce 11 expo halls and the outdoor exhibition grounds turned into agricultural world’s focal point. Over 1000 machines were on show, an among the, tractors, combine harvesters and smaller-size agricultural equipment. On the first day the expo was graced with the presence of, inter alia the Deputy Prime Minister Beata Szydło and Jan Krzysztof Ardanowski, the Minister of Agriculture. The Agrotech, following the many-year tradition was with the Timber Industry & Forest Resources Management Fair held for the 19th time. 25 years of AGROTECH... in the blink of an eye! What is worth remembering is the fact that for many years, AGROTECH has been Central and Eastern Europe’s largest agricultural industry trade fair held in exhibition halls. At the same time this is also the Poland’s largest exhibition, the biggest among all industries and sectors of the economy. Also for many years, the trade show has been granted the Minister of Agriculture and Rural Development’s patronage.